Dr. Device is two (two! two!) 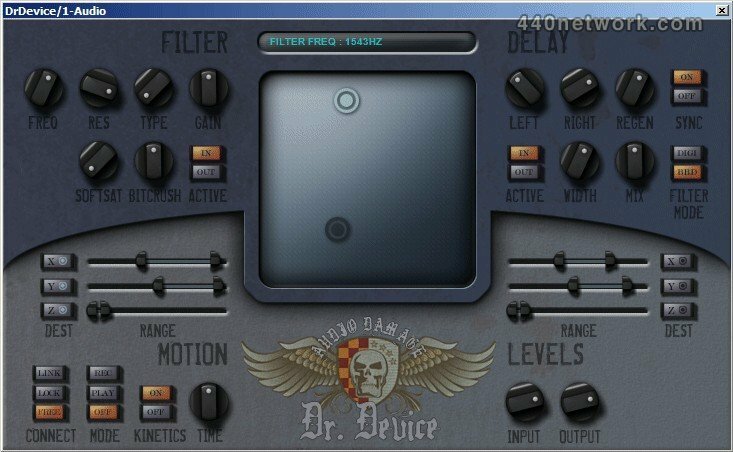 hi-octane analog-style effects in one. First in the chain is a multi-mode filter, featuring our own private reserve 4-pole lowpass, along with 5 other tasty musical modes. Then, your audio takes a trip through our true-stereo analog delay. Couple these effects with a two-node XYZ pad, motion recording, and kinetics (you have to see it to believe it) and you've got an effect well-suited for both live performance and studio tweaking. 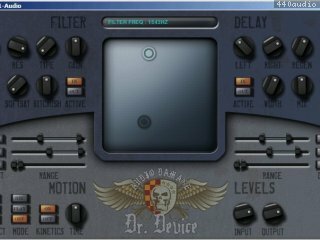 We have just put version 1.1.1 of the Dr. Device installers in the store for immediate download. These installers include 32/64-bit versions on all platforms, and many bug fixes.